It was dusk when we strolled into one of the nine entrance gates to Plaza Mayor (Main Square) in the heart of Madrid. Eddie and I and our friends Karen and Chef had just entered the public space that was once the center of Old Madrid. The sky was a pale purple, lanterns were glowing from the cafes. There was a soft, refreshing breeze blowing. We took in the sights. Hawkers were peddling spinning lights that flew high into the sky. A juggler was spinning sticks of fire to an awed crowd. 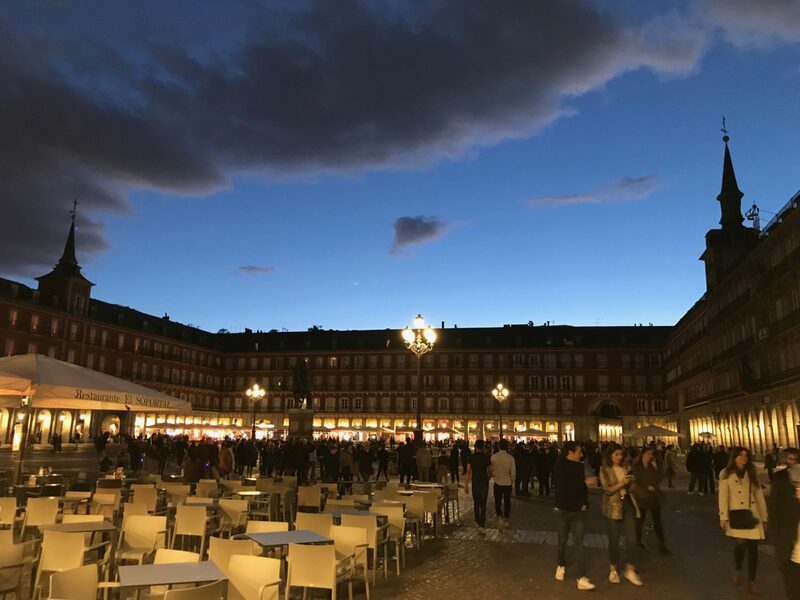 We eventually returned to Plaza Mayor to dine around 8pm. 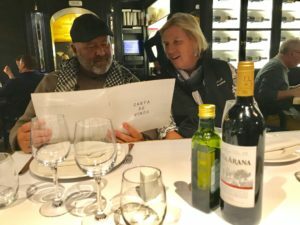 This was early for the locals in Madrid who usually dine as late as 10/11pm. Intoxicated by the enchanting evening, I ordered Oxtail Stew, my first. It was exquisitely mild and lightly thickened brown sauce, served with roasted red potatoes and julienned mixed vegetables. I’m getting ahead of myself because I need to mention that the starter, Manzanilla olives with fresh Spanish, artisan bread. This pared with the vinto tinto (red wine) that Chef and Karen selected was indescribable. The evening was not over after dinner. 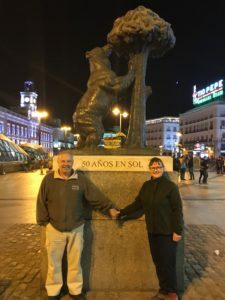 We continued to stroll as along the streets leading from Plaza Mayor in the general direction of our hotel and found ourselves at Puerta del Sol (Sun Gate). There we had our pictures made at La Oso y el Madroño, Statue of the Bear and the Strawberry Tree. We were among a few tourists getting their pictures at the famous monument. There were countless people, locals and tourists enjoying the outdoors that night. 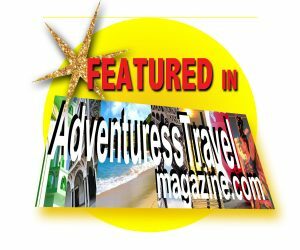 We strolled as long as we could in the general direction of our hotel before finally giving in and hailing a taxi. We had almost made it to Cibeles Fountain, and could see it only a few blocks away. It’ was a lovely evening that I’ll never forget.